On the same day as the Italy referendum, Austria's election appears to have gone to the Left. My explanation for this is that by solar arc, Austria's Pallas is very far on the "Dionysian" side at this time. 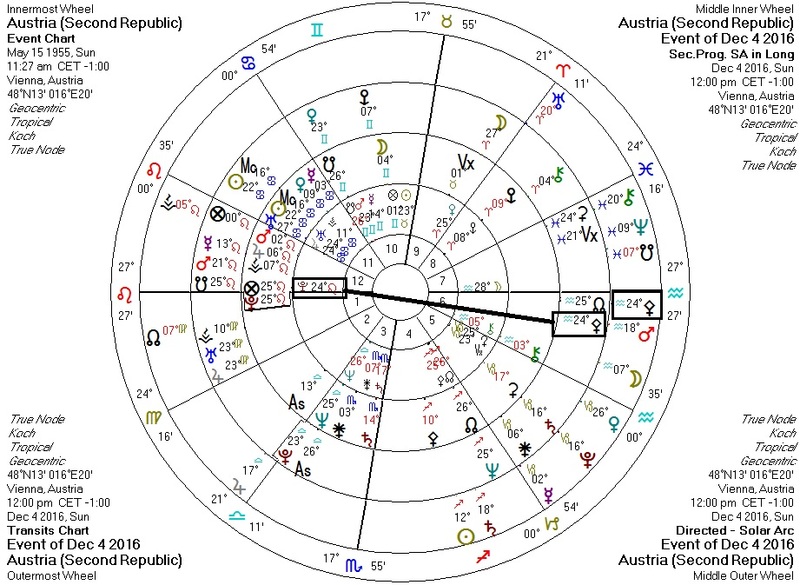 Austria's solar arc Pallas is opposite Austria's Pluto, tipping the nation's scales towards authoritarianism. Transiting Pallas conjunct solar arc Pallas would normally signify a "libertarian" event, but here under the influence of Pluto she merely underscores the current "authoritarian" ethic.